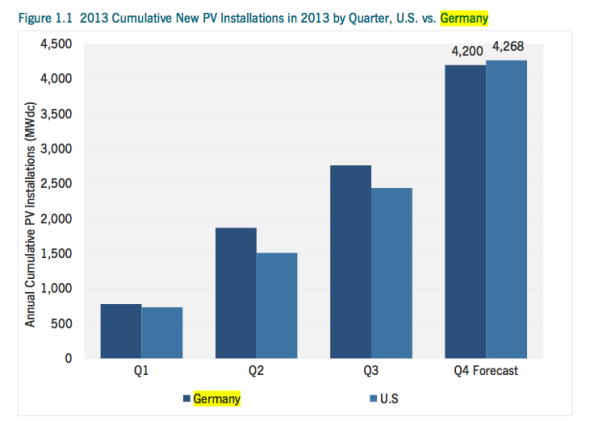 U.S. solar industry tops Germany in new PVs for first time in 15 years. 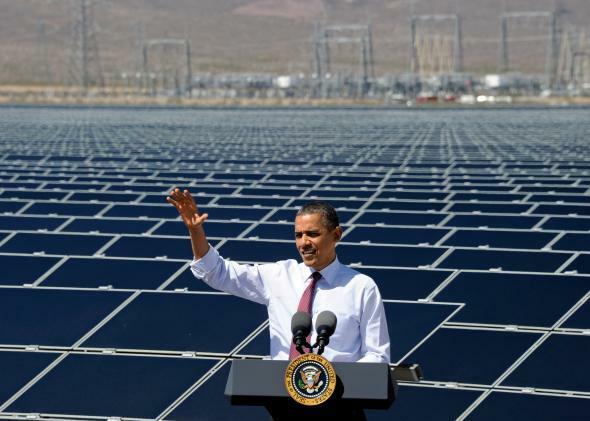 The U.S. solar-power industry is heating up. Soccer. Beer. Philosophy. Solar Power. All categories in which Germany has historically dominated the United States. But the last of those, at least, may finally be changing. For the first time in 15 years, the United States is on track to add more solar power to its grid than Germany, according to a new report from GTM Research and the Solar Energy Industries Association. Take that, Fox News analysts. Germany remains the world leader in total installed capacity, thanks to years of generous government subsidies. And of course it is a far smaller country, so its solar power per capita continues to dwarf that of the United States. Still, we should take what we can get, like the U.S. men’s soccer team celebrating its victory over Die Mannschaft in a friendly match this past summer. The U.S. solar win comes courtesy of a strong third quarter, in which Americans installed more solar panels on their homes than they have in any other quarter in history. It was the country’s second-biggest quarter for solar power overall, behind a record-shattering fourth quarter of 2012. Prices have also been falling fast, with the blended average photovoltaic-system price hitting a new low of $3 per watt. China Is Killing Our Solar Manufacturing Industry. Should We Fight Back? Can You Have Too Much Solar Energy?